Which one would you pick? You pick the option that delivers higher incremental profit, that is new revenue less the marketing costs and operational costs. Let us use some numbers – because of the ubiquity let us use numbers published by EverNote (otherwise there is no connection to EverNote). Incremental profit is $243,000 less cost to acquire and support 270,000 more customers. Incremental Operational Costs: Let us assume you are at capacity and need to add new capacity to support 10% more customers. A moment’s reflection will convince you that this is not an unreasonable assumption. So adding 10% more customers would incur $24,300 incremental cost for capacity enhancements. Incremental Customer Acquisition Costs: These are the marketing costs. Despite the claims that “free is free marketing”, there is a cost to acquire 270,000 new users especially after already acquiring 2.7 million users. This is going to take time and will cost $5,000- $10,000. But to keep with the freemium model assumptions, let us treat the marketing costs as $0. For option two, both these costs are zero and you only need to convert .22% of the freeloaders compared to acquiring 270,000 new users. So converting even a tiny fraction of your freeloaders delivers you higher incremental profit than growing your total user base by 10%. Is your choice the blue pill or the red pill? Now my selling point – any solution that enables this conversion will add $24,300 in value to you. 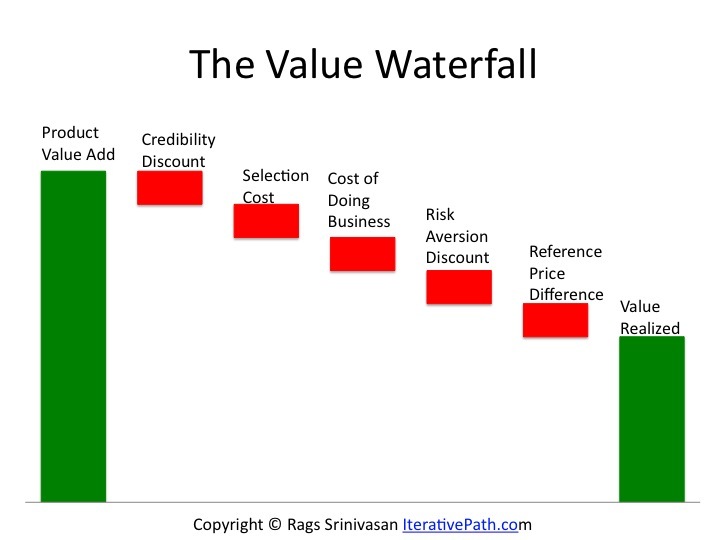 The value scales as more of your freeloaders are progressively converted to customers. The value can grow further, if a solution can find 10% of freeloaders who will never pay and hence enables you to fire them – that is another $24,300 in value for a total of at least $48,600. Would you be interested in sharing a fraction of incremental value-add for that solution? I can play didgeridoo while riding a unicycle but I do not see anyone hiring for that. Later he tries out for the job of handing out menus for a sandwich shop while wearing one of those larger than life tomato costumes. Finding low conversion rate (or high bounce rate) he starts by analyzing the menu. Harry concludes that the sparse menu, listing just four sandwiches, was the reason for low conversion rate. He spruces it up by enumerating all possible sandwiches based on meats, toppings and bread types. As he hands out the new menu with 60 different sandwiches, the conversion rate goes through the roof. Harry’s boss was happy with all the business. If we stopped the story here one could be absolved for treating this as a case study of applying, data, analytics and experimentation to add business value and the employee getting rewarded for it. You did a good job driving lot of customers to the store but we want lot more marketing than someone just standing with tomato costume and handing out flyers. We hired a guy who can wear the tomato costume and play didgeridoo while riding a unicycle. Please hand-in your costume. That is sad but not totally unrealistic ending to the story. To start with Harry did not tell his manager about what he is capable of and how all his different skills can add value to the business. Next, when he saw a problem with menu design he went ahead and fixed it. He did not tell his boss about his methods or results. The hope (we can only surmise) was that “Great work will speak for itself”, which as Harry and we found out later was not the case. This is the number one myth listed in the book, “Brag! The Art of Tooting Your Own Horn Without Blowing It“. 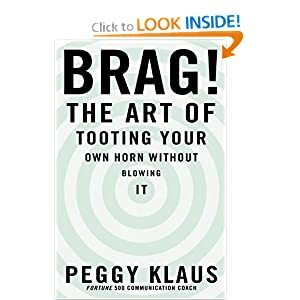 In this very well written book, author Peggy Klaus, makes a convincing case for the importance of letting the world know what you are made of, your accomplishments and how having you in a team is valuable to that team. You can assign blame on the boss for not taking the time to know her employees, what they are capable of, how to effectively engage them and finally reward them for their accomplishments. That is leadership failure. In the long term such lack of leadership will affect any organization and hopefully such bad bosses would be cast aside. But in the short term, it is you who suffer from your failure (or reluctance) to make your value proposition and your failure to position yourself in the minds of your “customers”. If you do not position yourself someone else will and to your detriment. If you can play didgeridoo while riding a unicycle and crunch multivariate regression at the same time – Go Brag! Let the world know.